Last weekend, the local farmers' market's traders had small crates of wild garlic. In my opinion, the very first sign of spring, these tender, pointed leaves, sweet and pungent all at once are always a joy to see...and eat. Wild garlic or l'ail des ours, to give it its French name was once thought a magic plant. Found in woodlands, wild garlic is easy to forage even for a beginner. It can hardly be mistaken for anything else, its smell is typical of garlic. When foraging, it is best to leave the bulb in the ground to ensure new shoots the following year. Wild garlic is incredibly versatile. 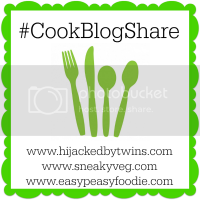 I have asked fellow-bloggers for recipes which you'll find added at the end of this post. Usually, it's a matter of throwing the leaves in boiling water for 2 to 3 minutes, sieve, cool and use. Why not give it a go? Eggs and wild garlic are the best of friends. So after buying a small brown bag of the delicious plant, I took them home and without further ceremony, blanched them, sieved thoroughly, chopped and added to an omelette. Goat cheese would have been welcomed in this dish but I couldn't wait to go to the shop. Let me know if you have been inspired, I'd love to add your recipe too.